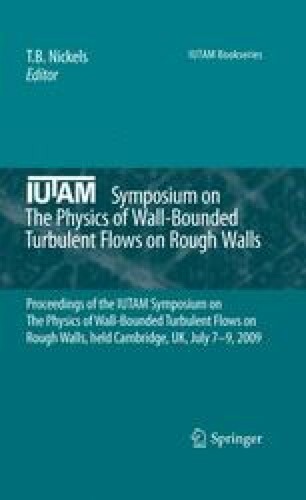 The effects of surface roughness on a spatially-developing turbulent boundary layer were investigated by performing direct numerical simulation and particle image velocimetry measurements of TBLs over rough and smooth walls. Introduction of the roughness elements augmented turbulent stresses in the region of y< 4 ∼ 5k s , where k s is an effective sand roughness height. However, the roughness has little effect on the vorticity fluctuations, turbulent kinetic energy budget and quadratic components of Reynolds shear stress in the outer layer. We also demonstrate the modification of coherent vortical structures over the rod-roughened wall by using linear stochastic estimation.